Vishwa Hindu Parishad leader Pravin Togadia on Sunday demanded that the government should stop all subsidies provided to Muslims from money of Hindu tax payers or else provide similar grants to Hindus.He simultaneously announced VHP's action plan for Hindus under which it will launch "ek mutthi anaj (a fist of foodgrains)" scheme which envisages collecting grains as donations from people for mass distribution among needy Hindus.Another is an employment scheme initially for Ahmedabad city beginning from April where youth would be imparted training to fetch them a monthly income of Rs 8,000 to Rs 20,000. 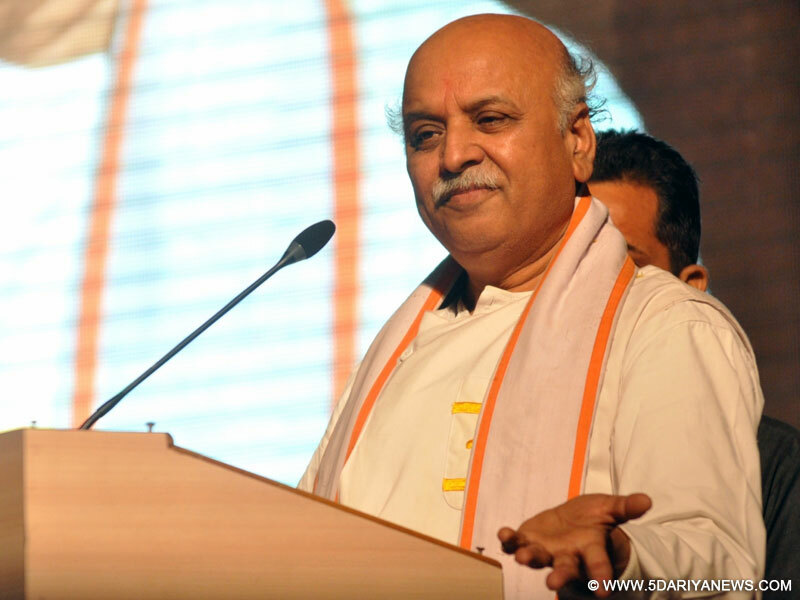 Togadia also announced schemes for education of children. Addressing a Hindu sammelan at the GMDC Grounds here, he said: "If Muslims could be helped with the money collected from taxes paid by Hindus, why not Patels, Thakores and Koli (communities)? "He said Muslims were being given a subsidy to undertake religious tours and for their educational development but there was nothing like this for Hindus.Affirming that a Hindu temple would be built in Ayodhya, the VHP leader got the crowds to raise slogans like "Ayodhya jayenge, mandir wahi banayenge (We will go to Ayodhya, and build a temple there)" . "A Ram temple would be built the same way as Sardar (Vallabhbhai) Patel oversaw construction of Somnath Temple. "But all this would not happen just by chanting Sardar, Sardar. Action would need to be taken," he added.